I decided I needed a new wallpaper and had this picture to hand...sooo...this was born. Browse Ciel Phantomhive Gallery: Recent | Popular. 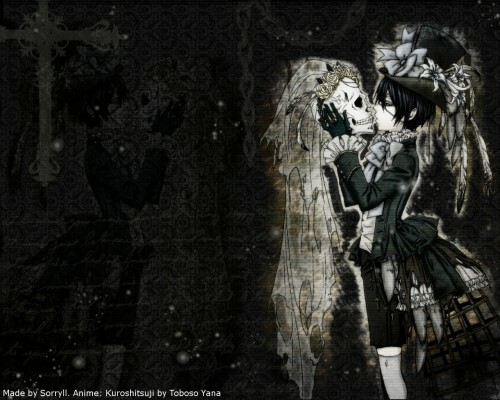 Nice gothic art. . .but isn't it so EMO? I love it. Brilliant color scheme. This is my fav pic from ciel. yet another gothic beauty! thanks for sharing! A gothic masterpiece! Simply frighteningly elegant! i love this walls haha.